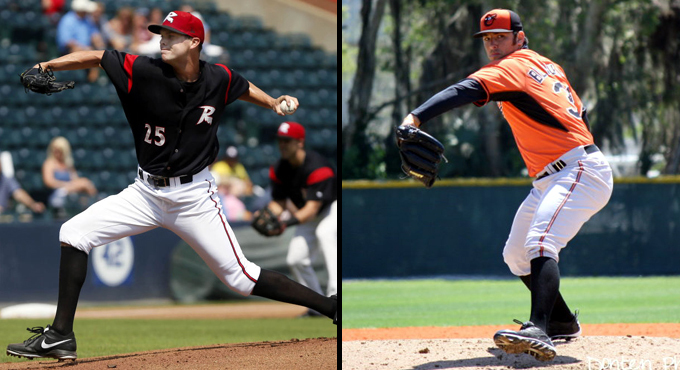 (Central Islip, N.Y., April 5, 2016) – The three-time Atlantic League champion Long Island Ducks today announced the signings of left-handed pitcher Jack Snodgrass and right-handed pitcher Mark Blackmar. Both will begin their first season with the Ducks and Atlantic League. Snodgrass comes to Long Island after spending five seasons in the San Francisco Giants organization. He split time with Double-A Richmond and Triple-A Sacramento in 2015, combining to post a 5-5 record and a 4.35 ERA in 17 games (11 starts). The 28-year-old then went on to pitch with the Giants in spring training this year as well before signing with the Ducks. The Kentucky native’s best season came in 2013 with Double-A Richmond. He compiled a 12-4 record with a 3.70 ERA in 25 starts and struck out 81 batters in 141 innings of work. For his efforts, he was named both a Mid-Season and Post-Season Eastern League All-Star. The 6-foot-6-inch southpaw also earned Mid-Season All-Star honors in 2014 with Richmond and in 2012 with Advanced-A San Jose. He has a career record of 42-24 with a 4.00 ERA and 350 strikeouts in 112 games (88 starts). Snodgrass was originally drafted by the Giants in the 27th round of the 2011 amateur draft. Blackmar joins the Ducks after pitching in 2015 with Double-A Birmingham in the Chicago White Sox organization. Over career-best totals of 26 starts and 151 and one-third innings pitched, he put together a 6-8 record with a 3.63 ERA and one complete game. The Texas native also pitched with the White Sox this year in spring training before coming to Long Island. The 23-year-old spent the previous four seasons in the Baltimore Orioles organization. His best year came in 2013 with Advanced-A Frederick when he posted a 10-1 record with a 3.18 ERA, one save and 83 strikeouts in 26 games (18 starts). The righty has a career record of 27-21 with a 3.71 ERA and 240 strikeouts in 100 games (62 starts). Blackmar was originally drafted by the Orioles in the 16th round of the 2011 amateur draft.